In this clip from October 22, 1962, J. William Fulbright, the chairman of the Senate Foreign Relations Committee, who famously stood against the Vietnam War, argued emphatically in favor of an invasion of Cuba rather than a blockade. Kennedy had called Congressional leaders to the White House at 5:30PM to brief them in advance of his 7PM speech to the nation. The meeting also included other leading political figures such as Representative Carl Vinson, Senator Everett Dirksen, Senator Richard Russell, Senator Mike Mansfield, and Representative Charlie Halleck. Vice President Lyndon Johnson was also present, and Fulbright’s stance evidently made an impression on him. LBJ would remember it years later when Fulbright came out so strongly against the Vietnam War (such as in this 1966 call with McGeorge Bundy). 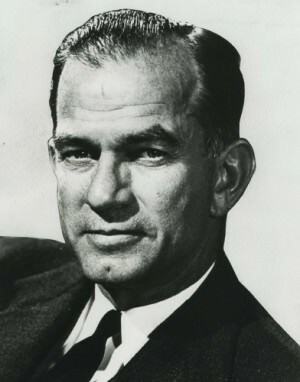 J. William Fulbright Mr. President, one thing about the blockade that does not appeal to me is that you really do have to confront the Russians directly on the ships, whereas if you invade without the blockade, they are not confronted, I mean legally. I mean it’s just between us and Cuba. I think a blockade is the worst of the alternatives because if you’re confronted with a Russian ship, you are actually confronting Russia. This way, if you have the invasion against Cuba, this is not actually an affront to Russia. They don’t pretend that this is their . . . They’re not part of the Warsaw Pact. Fulbright I don’t see a blockade as being . . . It seems to me the alternative is either just to go to the U.N. and solve without this, or an invasion. A blockade seems to me the worst alternative. Robert McNamara Mr. President, may I mention that whether an invasion is a confrontation with the Soviets needs to be considered in light of the fact that it would immediately be preceded by over 2,000 bombing sorties directly against the locations occupied by something on the order of 8,000 Soviet military personnel. Fulbright But that’s quite different. They’re in Cuba. Cuba still is supposed to be a sovereign country. It isn’t a member of the Warsaw Pact. It’s not even a satellite. It’s not considered such. It’s just a Communist country. Richard Russell Do you think the number of sorties is going to get lower, or the number of Russians get fewer? Fulbright I don’t like the idea of a blockade at all. It seems to me that it complicates the whole thing. JFK What are you in favor of, Bill? Fulbright I’m in favor, on the basis of this information, of an invasion, and an all-out one, and as quickly as possible. JFK Well, now, we’ve got the seven-day period, as I say. Fulbright Well, then, you just stay; I would do nothing until you’re ready to invade. I think a blockade leads you to quibbling and delays among our own people, and especially the probability, certainly, of a confrontation with the Russians themselves. It gives him a better excuse for retaliation than our attack on Cuba. Fulbright But they’re Cuban sites. They’re not Russian sites, and a Russian ship is a Russian ship. I mean, if they can save face, they can just forget it. They’re over there, I guess, in whatever their capacity, it is not part of Russia. That’s what I never like about a blockade, is that it really leads to a real confrontation with Russian ships. And you have to sink a Russian ship, this is a real first shot. You’re saying you’re evading, under [Harold] Macmillan’s theory. You want to evade, this first-firing point of view with Russia. And you don’t do that when you fire on a Russian ship. And you’ll have to do it if you put a blockade in. Then you’ll fire the first shot. But firing against Cuba is not the same as firing against Russia. I don’t think a blockade is the right way at all, and, if it’s as serious as-- and I accept the evidence, I don’t question that-- it seems to me that the time has now come, under your statement of the 13th of September, for an invasion. You said, if it changes and it’s offensive, we’ll take what’s necessary for our defense. And if I understand it correctly, that means nothing but an invasion. Now, how quick you can do it? Seven days is not too long. But a blockade seems to me the worst alternative. But I don’t see why you can avoid saying an attack on a Russian ship is really an act of war against Russia. It is not an act of war against Russia to attack Cuba. Excerpted from Timothy Naftali and Philip Zelikow, The Presidential Recordings: John F. Kennedy, vol. 2 (New York: W.W. Norton, 2001), pp.85-86.